After almost a year of being a full-time creative business owner, I feel like my style, workflow, and clientele has evolved and become more insightful and intentional. 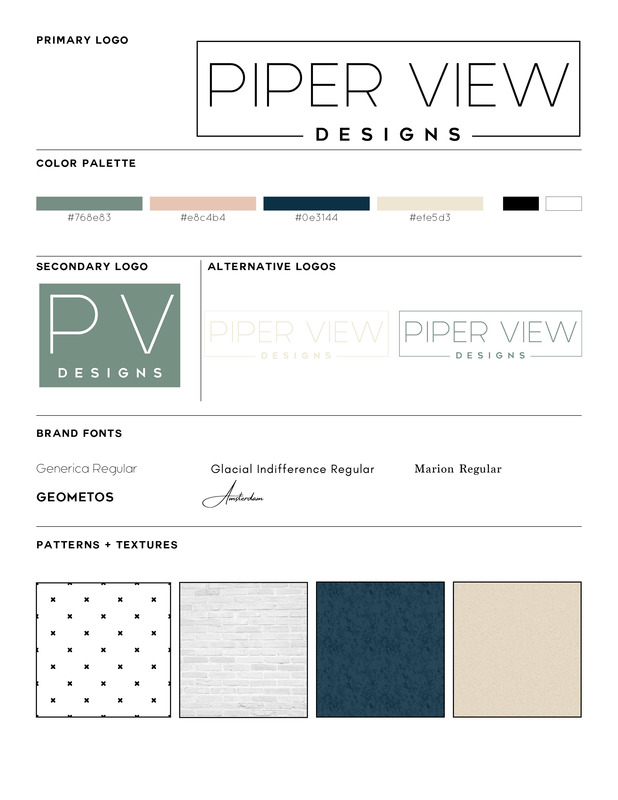 For those reasons, I’m excited to have re-branded Piper View Designs to reflect my style of design and photography more accurately. Your brand should demonstrate how you conduct business and give an insight into you as a company or person. Creating a brand that was clean cut, to the point, easy to read and versatile was my goal! I hope you all enjoy this fresh look as much as I do and continue to follow my entrepreneurial adventures!